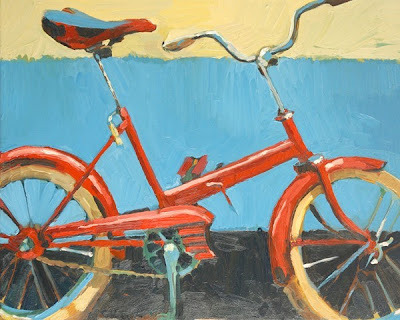 Ever fancied your bike immortalized on canvas? Now you can! Email a few pics and Dana will paint it especially for you. Stunning 6" x 8" unique acrylic on canvas. This beautiful silver plated adjustable ring is completed with a resin 'ice crystal'. 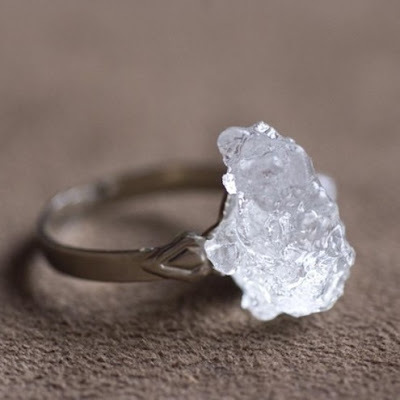 This resin technique involves manipulating semi-cured resin when in the gel stage without a mould, and looks like naturally formed ice or rock crystals! It's an unusual technique that I haven't seen before. Each piece is extremely unique! 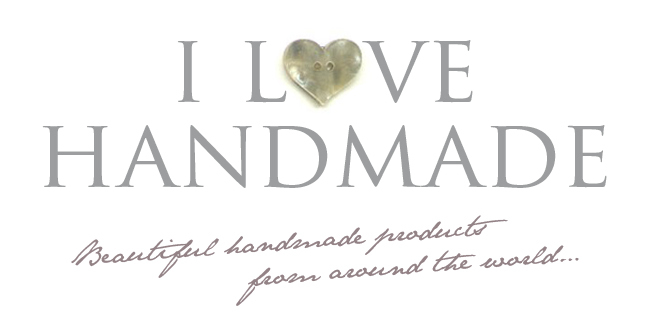 100% British Hand Spun Yarn. 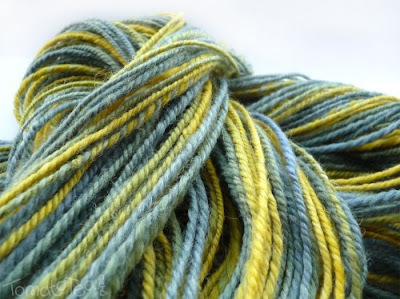 This yarn started life as natural British Wool fibres which were dyed by TomatoTea in soft blues, pale greens and vibrant yellows. These fibres were then lovingly and painstakingly hand spun on a spinning wheel. It consists of 1 single which has been plied for a balanced 3 ply yarn. 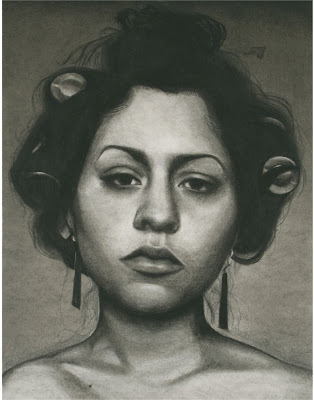 A stunning archival print of an original charcoal on paper illustration. Printed on Moab Somerset Velvet 100% cotton rag paper, this 8" x 10" print is signed by the artist. Beautiful! This wooden pendant has been hand stamped and aged. A beautiful and elegant piece. Great size pendant measuring 1 1/2" long. Comes with a medium silver plated bail to accept most chains and a 24" ball chain that can be cut to any size! It has a thick epoxy for a glass like durable finish. Beautiful archival giclée print on Velvet Fine Art paper. 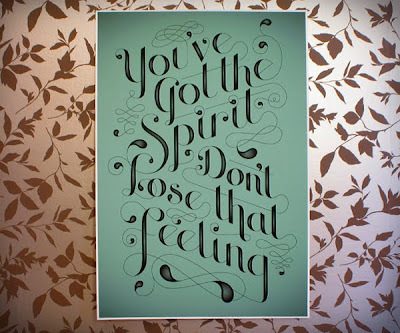 A fun (and very fantastic) typographic illustration of a Joy Division lyric. Signed by the artist. 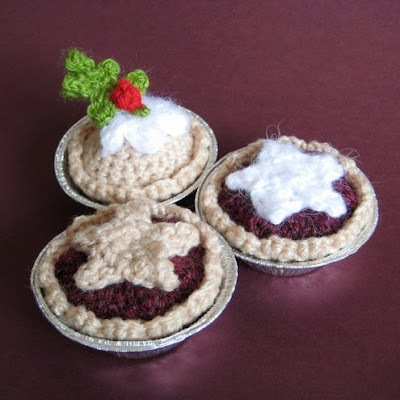 In this season of good cheer & expanding waistlines, it's always good to have a bit of plush food lying around: eat with your eyes, not with your mouth – these 3 crocheted festive mince pies are sure to fool your friends (from a distance, at least), whilst you keep the real ones stashed safely in the cupboard! Merry Christmas everyone! I hope you all have a fantastic day. Cute limited edition giclée print of an original mixed media collage. Printed with Ultrachrome K3 archival inks on heavy rich archival matte paper. Perfect for your lovely home or as a gift! 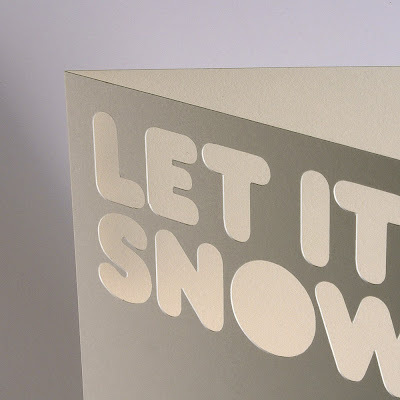 A lovely crisp white greetings card with a festive message cut out of the front to reveal the splash of colour inside. Very simple, yet beautiful. 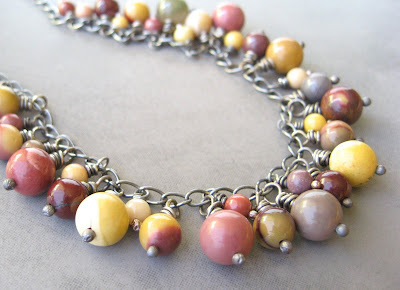 Mookaite jasper beads in fruit salad colors are wire-wrapped to a simple sterling silver chain. The petite beads of pink, red, grey, ochre, and eggshell range in size from 4-8mm, and make for a deliciously feminine necklace! Total length of chain is 18 inches and fastens with a handwrought sterling hook clasp, flanked on either side by additional small jasper beads. Beautiful! 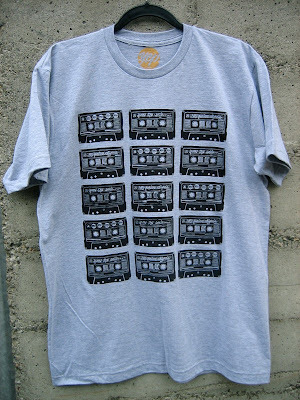 Mens ultra soft and comfortable cassette tape t-shirt. Just a reminder of how important the mix tape was, and should still be. Wear it every day, it will make you smile. Handpulled screenprint 100% cotton t-shirt. 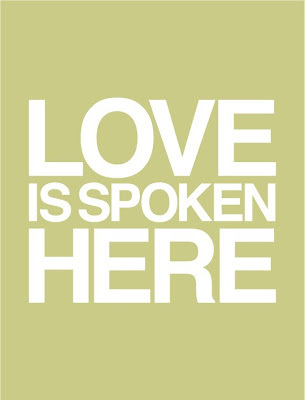 Love is Spoken Here, an understated 8.5" x 11" giclée print on fine art paper. Other colours are also available. Set of seven laser cut red acrylic christmas ornaments. 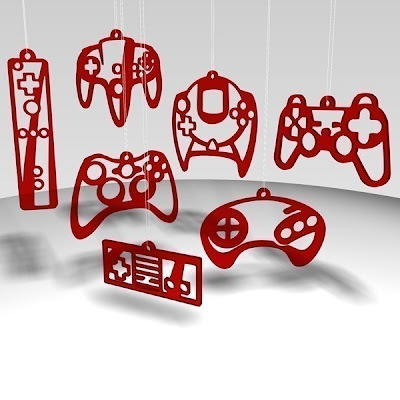 These will be very familiar shapes to any gamer in your life. The height of geek-chic! Wonderful! Tired of squinting at all those plastic bags cluttering up your life? Well, kill two birds with one stone – use this handy Cuts of Carrot recycled cotton market tote AND remind yourself to eat more carrots and improve your eyesight! See? Meatbagz are here to help! 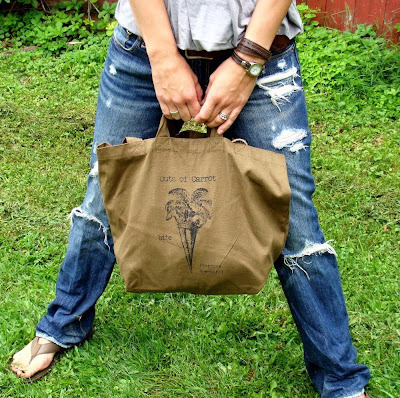 This recycled cotton tote has been screen printed by hand on the exterior, it's stylish enough to be used as a purse and handy and sturdy enough for the market. 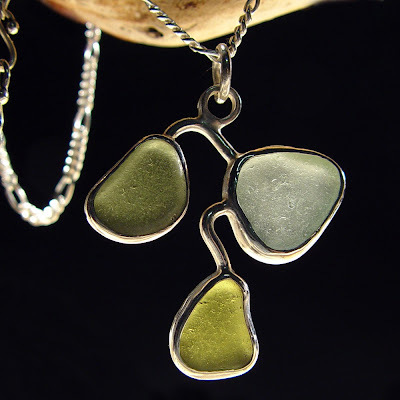 A beautiful sterling silver pendant featuring a mix of sea glass, found in Santa Cruz, California. Two different olive colors and one white piece, all with smooth textures created by the ocean. Set in a bands of sterling silver connected with sterling silver wire on an 18" sterling silver chain. Original art, individually block printed and hand sewn. 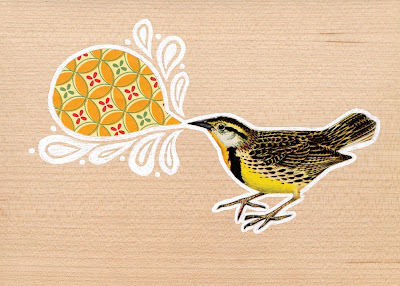 Inspired by the many varieties of field birds in the foothills of Northern California. 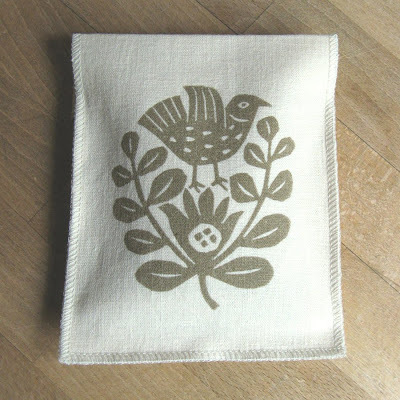 Reusable linen pocket with button closure in back, hand printed one at a time on 100% eggshell linen with removable lavender sachet insert. 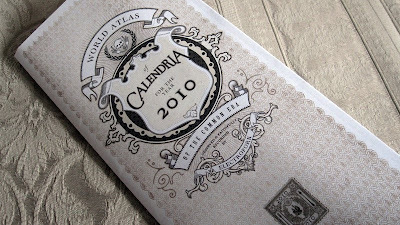 Atlas of CALENDRIA for the Year 2010 of the Common Era – A pocket atlas and map. Calendria is a calendar-as-world comprising twelve countries (months). One side of the atlas displays major boundaries, geographical features, etc. The panels of the other side contain the histories (brief, anecdotal), coats of arms and pennons or oriflammes of each sovereignty, along with its corresponding month laid out in a grid with major holidays noted. This lovingly drawn and designed pocket atlas will arrive neatly folded to 4" x 9", but unfurls to a generous 27" x 20". A limited edition of 800, printed full color to both sides on smooth uncoated paper. It ships in a handsome recycled kraft envelope with a 4" x 9" Happy New Year postcard. 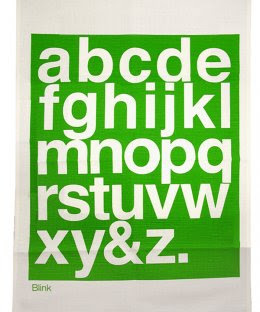 Fantastic hand printed alphabet tea towel. Simple, graphic and butch enough to get your bloke to dry up. 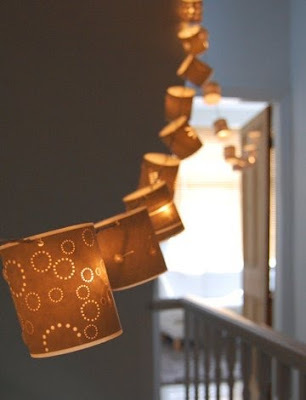 These exquisite strings of fairy lights have twenty tiny shades, each one finely cut with its own unique design. Each string is ten metres long, five metres lit and five metres unlit. They are best used in an evening setting. They really come to life when the lights are low! 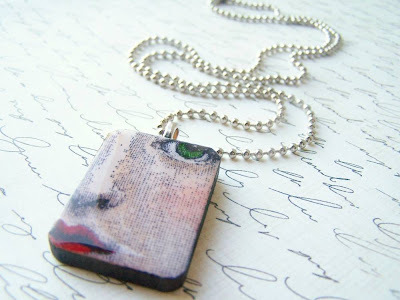 A pretty little pendant made with a vintage wooden Scrabble tile. The ‘Sweet Blossom’ design features deep blue and red blossom flowers with gold highlights on a cream background. The pendant hangs on a 16" (40.6cm) or 18" (45.7cm) sterling silver ball chain. 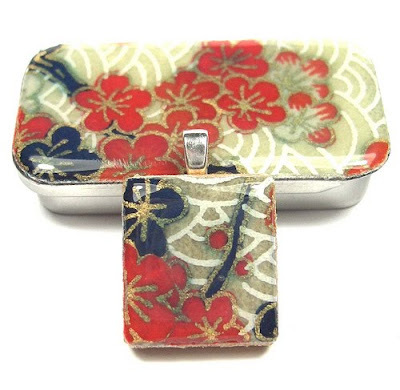 Each Scrabble pendant has a complementing slide lid tin. Beautiful. What better way to beat the cold winter blues, than a blast of intense summer colours? This original 8" photograph is printed on a gorgeous glossy Fuji Crystal Archive Paper and will last for a lifetime! Signed and numbered. 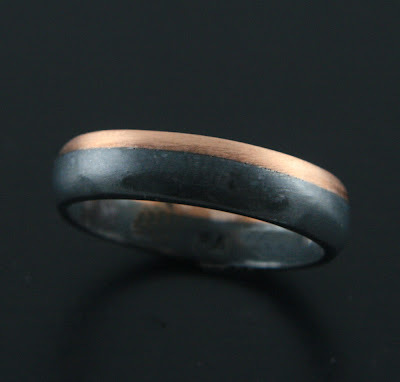 This men's ring is hand-forged in 14K rose gold and oxidised sterling silver. A 5-6mm wide ring with a curved outer surface. The rose gold has a brushed finish, the oxidised silver is fired with a clear enamel coating to protect the finish. Made to order. 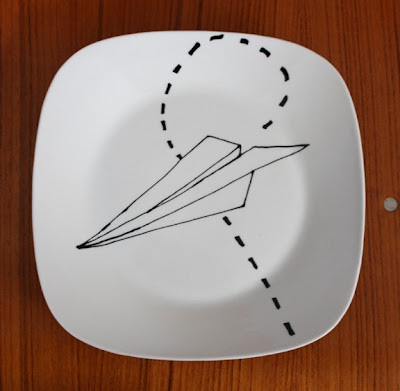 Bring a little bit of fun to your meal with this ceramic paper plane plate! The plate is 10x10 inches with a heat sealed, dishwasher-safe handpainted design and comes in a set of two. Beautiful! In need of a bit of luck? Then trust in the bunny! 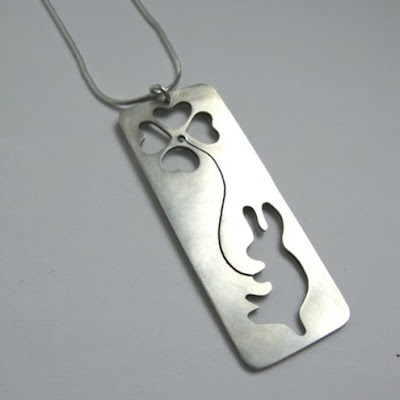 This whimsical pendant is hand pierced from sterling silver and displays a bunny holding onto a four leaf clover. It hangs on an 18inch sterling silver snake chain. Stunning archival print created from an original drawing on an old book page with found date stamps titled 'what's the use?'. Printed on lightly textured, 285gsm Hahnemuhle Torchon paper. Signed edition of 25. 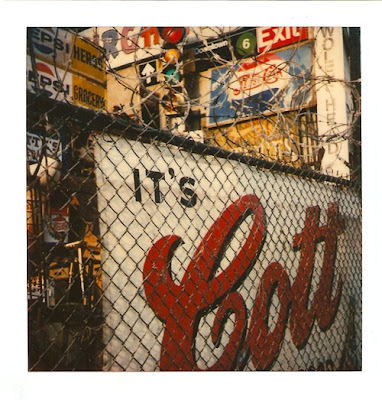 Fantastic blog, where a new Polaroid is posted every day. Each is an original piece of art and completely unique. The price is $12 and includes a cool frame and shipping. What more could you ask for? Are you a Typophile? Do you know someone who is? 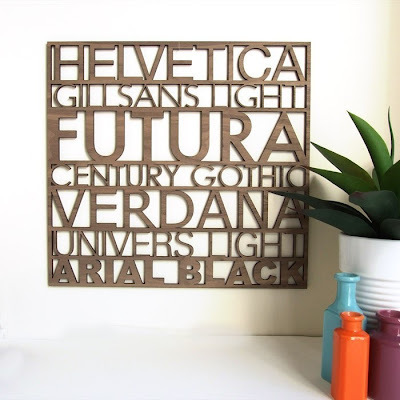 If Sand, ComicSans, and Papyrus drive you mad, these classic typefaces will look perfect on your wall. Set in Helvetica, Gill Sans Light, Century Gothic, Veranda, Univers Light, and Arial Black. This wall hanging has been cut from a lightweight Walnut laminated MDF. This graphic designers dream measures in at 15 x 14.25 inches (38cm x 36cm) and 1/4" thick (6.4mm). 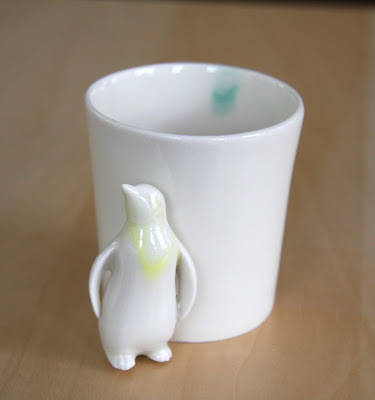 Fantastic Baby Penguin cup made from lead free, dishwasher and microwave safe porcelain. Glazed in off ivory white with a green tint. 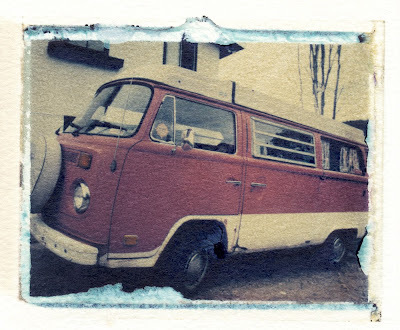 I love the faded vintage appeal of this one-off Polaroid image transfer print. 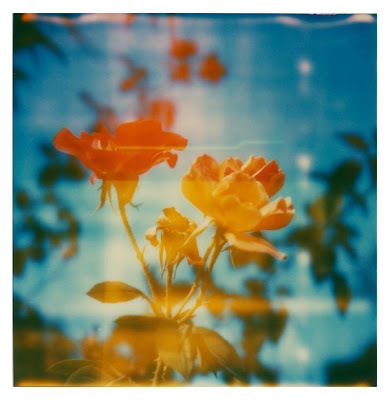 This process begins with an original print being projected onto peel-apart Polaroid film. The film is then peeled apart almost immediately, and the "negative" side (containing the chemicals) is placed face down onto a piece of watercolor paper. The back of the negative is then pressed to aid in the transfer of the image. This results in a one of a kind hand pulled transfer of the original image. The original image can be exposed and transferred any number of times but the resulting image transfer will always be different than the last! 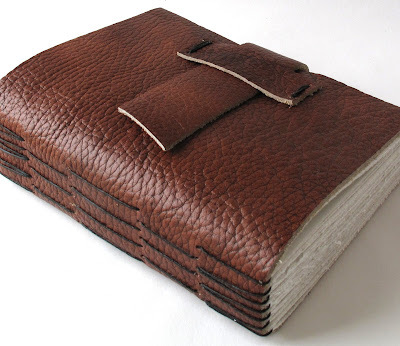 One of a kind journal made entirely by hand from premium, copper colored leather, with a matching strap closure to protect the pages. Medieval style binding with exposed stitching on the outer spine. The open book lays flat, making it easy to use. High quality 50 lb sketch paper pages, acid free and archival. 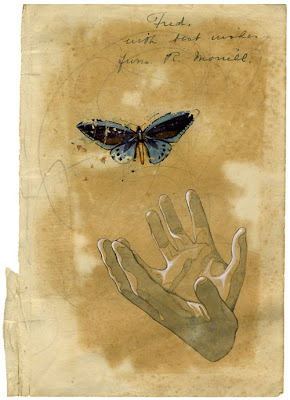 Pages are hand-torn for an old-world feeling. Perfect for writing, drawing with pencil, pen, charcoal and pastel, the paper also works well for calligraphy, and for writing with a fountain pen. Beautiful! 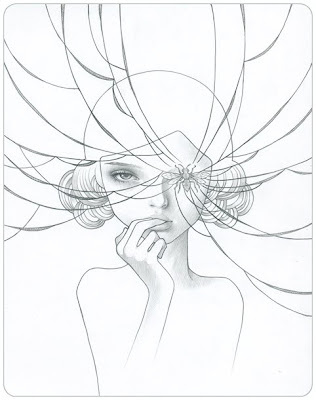 This is one of Audrey Kawaski’s stunning doodles from 2008. Graphite on paper 8"x10".